Skylark Blog: What should I expect to learn at an Initial Divorce Consultation? What should I expect to learn at an Initial Divorce Consultation? For many individuals who call our office, it is their first time speaking with an attorney. They are nervous and know they need help with the divorce process but they have no idea what to expect. Our first goal of an initial consultation is to reduce that anxiety by helping you understand what to expect. We do this by explaining some basics about how divorce works in Massachusetts, and by obtaining some basic information about your specific case and the issues that you may face in dissolving your specific marriage. A copy of any court documents that have already been filed or served. 2. Write down any specific questions that you have so you don't forget to ask them at the meeting. 3. Write down your goals for the meeting, and tell the person you're meeting with why you are there. For example, if you just want information and aren't ready to file for divorce yet, make sure they know that because you may want information about marital mediation or counseling as well. 4. If you have decided to get divorced, write down your goals for the divorce process. In other words what do you want to get out of your divorce, and what do you want your life to look like one year from now. What is divorce mediation and what are the pros and cons of mediation? What is collaborative divorce and what are the pros and cons of collaborative divorce? What are the pros and cons of filing a Complaint for Divorce and starting litigation? Are you trained in either mediation or collaborative divorce? How would you help me reach my goals? How much of your practice is devoted to divorce work? What is your hourly rate and retainer requirements? Our final and most important recommendation is that you should hire an attorney or mediator that you believe you can trust. While many people hire based on cost, the most important factor in deciding if you will be satisfied with how your case is handled is whether or not you believe you can trust your attorney or mediator. 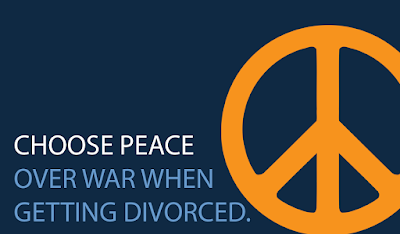 Divorce involves intimate details of your life and often uncomfortable conversations. If you don't trust your attorney or mediator and avoid these conversations your case will suffer and your goals may not be met. Find someone that you believe you will work well with, even if it means interviewing multiple attorneys and mediators. If you would like to learn more, click here to schedule a 1 hour free consultation with Attorney Kelsey. Getting some perspective while shaving my head!